This is a wonderful Model J Duesenberg. 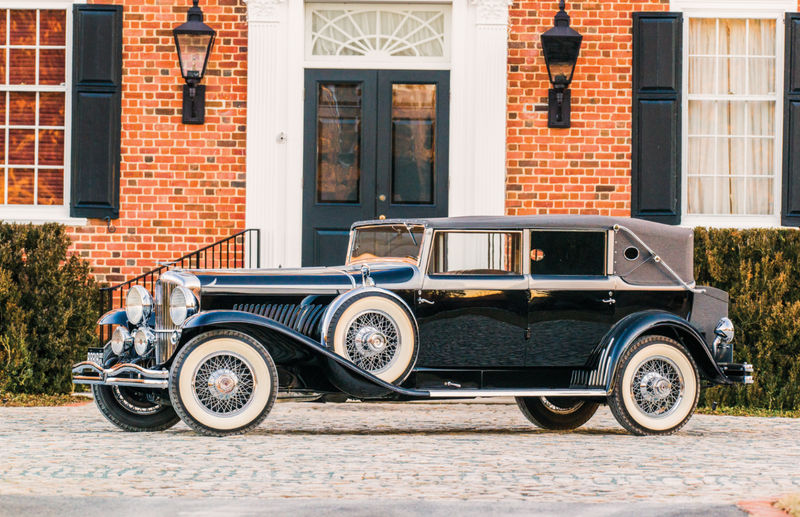 The profile view of this car screams “stately, high-quality automobile.” Introduced in 1929, the Model J was the crowning achievement of American motorcars up to that time (and for decades afterward). It’s powered by a 6.9-liter straight-eight engine that puts out 265 horsepower. 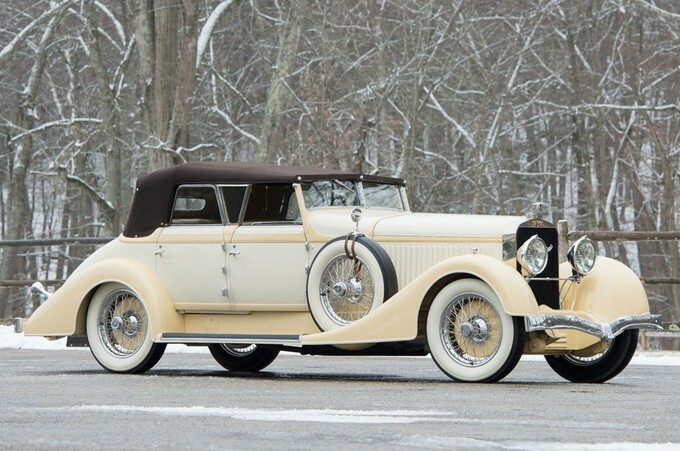 Every Model J’s body was custom built, and this car was bodied by Parisian coachbuilders Hibbard & Darrin. It’s a big, opulently-appointed car with an over-sized trunk out back to carry the luggage of the original owners: William Randolph Hearst and Marion Davies. They carted this car all over the world with them on their travels. This car has known ownership history more or less going back to when it was new. It’s been owned by famed members of the Auburn Cord Duesenberg Club and was restored by a master Model J restorer. It was freshened after 2003 and hasn’t really been shown since. It’s a well-known Model J that has one of the most-famous first owners imaginable. You can find out more here and see more from RM here. We featured a Hispano-Suiza H6C fairly recently and while that car was certainly cool, it really can’t match this one for looks. Check out the rounded fenders, swooping lines and the soft cream color scheme. It’s beautiful. The body is by Hibbard & Darrin, a company comprised of two Americans living in Paris. Four-door convertibles really need to make a comeback (I’m looking at you, Cadillac) as the style is really elegant and imposing, something often not found on modern cars. The sweeping fenders on this car were actually added in the late-1930s after the car had seen a few owners. The engine is a 160 horsepower 8.0-liter straight-six. This car was one of very few Hispano-Suizas delivered new to the U.S. And it’s also one of only a few H6Cs that are still around. Luckily, it happens to be one of the best looking as well. It can be yours for between $400,000-$500,000. Click here for more info and here for more from this sale. Update: Not sold, RM Sotheby’s Amelia Island 2018. Update: Not sold, RM Sotheby’s Arizona 2019.